If you don’t already own a BB cream or cushion, I don’t know what you’re waiting for. I used to be a huge fan of foundations — I went through at least 5 bottles of Chanel Aqua Vitalumiere, and at least another 5 of the Becca Mineral Powder. All that changed when I discovered the BB cushion. Originally invented by Korean industry titan Amore Pacific to give women a way to easily touch up their makeup and sunscreen throughout the day, BB cushions are fast becoming a favourite foundation for women everywhere. BB cushions contain UV protection, which means you’re touching up your sunscreen while you touch up your makeup. BB cushions use non-absorbent sponges, which helps to distribute the product evenly over your face for a dewy, glowy finish. BB cushions are usually buildable, so coverage can be as heavy as you wish. They’re also pretty affordable! Prices can range from SGD20 to SGD100, depending on the brand you’re looking at. Lastly, BB cushions can be easily ‘refreshed’ throughout the day with face mists, so you don’t have to keep touching them up. So on that note, let’s start the BB cushion Battle! I’ll be reviewing them based on price, packaging, coverage and finish, fragrance, texture, and staying power. Glow tip: Do note that BB cushions are meant to be used with a good face base. On most days I use my J.One Jelly Pack, which is an excellent ‘makeup gripper’ for any makeup. When I’m not using my J.One Jelly Pack, I use Heimish’s Artless Glow Base or Guerlain Meteorites Base. I use this in Natural Beige. Description: This flawless cushion foundation creates beautiful pearly bright skin with its full coverage and smoothing effects. Packaging: Sturdy, slightly bulky case. Pearlescent shimmer on the case. Coverage: Light to medium, buildable. Finish: This cushion has an incredible brightening effect! The colour doesn’t oxidise at all during the day, which is very rare for any foundation. The finish is a little more matte than I would’ve liked (which I always feel makes my skin drier during the day), but it still gives my face a subtle glow. Suitable for: Oily to combination skin. I find that the more you build with this cushion, the more matte and dry it gets. So if you already have pretty good skin, and require a light coverage to just even out your skin tone, this is a good cushion for you. Also suitable for people starting out with BBs and are looking for a good starter cushion. Staying power: I think you could get away with not touching this up during the day at all. It doesn’t slide, and the brightening effect doesn’t go away throughout the day! Overall: 4/5. Major points for this BB’s brightening effect! 2. 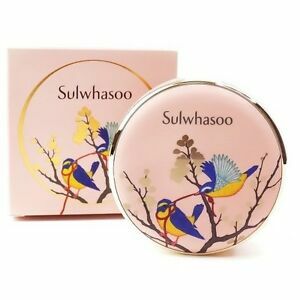 Sulwhasoo Perfecting Cushion: Best overall cushion ever! I use this in Medium Pink 21. Sulwhasoo has 3 different kinds of cushions — the Perfecting Cushion, the Perfecting Brightening Cushion, and the Perfecting Cushion Intense. I use the Perfecting Cushion, as it has the most dewy finish. Description: The exclusive traditional herbal hydrators in the Cushion leaves skin hydrated all day long to create a more natural and healthy complexion. Sulwhasoo Perfecting Cushion is the ultimate perfect foundation for every Asian woman, giving smooth and even coverage with luminous matte finish. Packaging: The main picture of this post shows both the limited edition 2017 version and the original cushion. Both versions come in sturdy, elegant packaging. Coverage: Light to medium. I find even with the lightest touch, this cushion can cover up pores, redness, and small blemishes deftly. I usually only use 1-2 dabs of this cushion for my entire face. Coverage with the Sulwhasoo cushion is better than the Etude House one. Finish: Where the Etude House Precious Mineral has a brightening effect, this Sulwhasoo cushion has an incredible ‘your skin but better’ effect. The finish is very dewy and healthy, but doesn’t feel heavy on your face at all. You might find the colour tends to oxidise a little bit during the day, but it’s nothing too obvious. Suitable for: Normal to dry skin types. Also ok for oily skin, but you might want to lightly dust your face over with powder if you find the finish too dewy. Staying power: Pretty decent! I can get away with maybe 1 touchup after lunch. Glow tip: If you’re a serial face mister like I am, you might want to gently pat in your mist to prevent this cushion from ‘sliding’ on you face. I find that if it gets damp, it tends to move a little bit. Price: SGD74 at Tangs; ~SGD60 on Shopee. All cushions come with 1 free refill. Overall: 4.5/5. I’ve never met a cushion with a lovelier finish than this. I wear it to work everyday, and also to formal events. I think I’ve repurchased this cushion at least 3 times now in the last 2 years. This cushion’s versatility makes it a good splurge choice! I use this in Natural Beige 23. J.One Jelly Cushion was created as a complement to the famous J.One Jelly Pack by equally famous Korean actress Ha Ji Won. Packaging: Sturdy and slightly bulky plastic compact. Where the Sulwhasoo and Etude House cushions are sponge cushions, this is a tension cushion. Nice touch on the honeycomb reference, but I’m not sure if this tension cushion is a good idea. It takes ages to get out a sufficient amount of product, and the sponge applicator seems to eat up any of the product that comes out. Coverage: Light. I don’t know if it’s the less than successful tension cushion system, but I can never seem to build up any coverage with this. Texture: Very light. Again, I can’t seem to get out enough product but it’s so light it’s almost a powder? That product shot above with the foundation spilling out of the compact is soooo misleading. Finish: The finish is great when you’re using this together with the J.One Jelly Pack, which was the original intention of the cushion. When I used this with my beloved J.One Jelly Pack, the finish is pretty flawless. However, using this without my J.One Jelly Pack only proves that the flawless finish is mostly carried by the J.One Jelly Pack, and not the cushion. Without the jelly pack, the cushion’s finish is slightly chalky, flakes in places, and has very little staying power. Suitable for: People who want to use a cushion to complement their J.One Jelly Pack base. Without the jelly pack, I definitely don’t recommend this for dry skin. 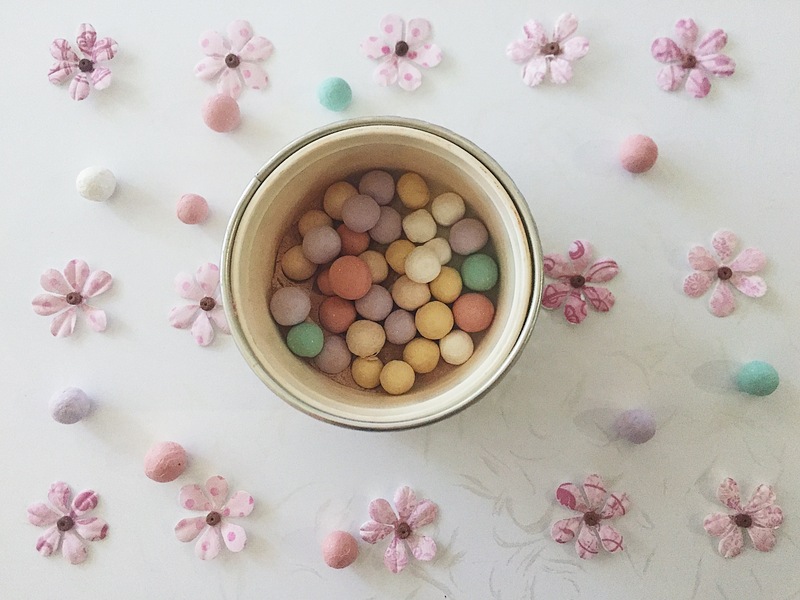 Staying power: With J.One Jelly Pack, staying power is excellent — 1 touch up during the day. Without the J.One Jelly Pack, this cushion seems to disappear into thin air throughout the day — 3-4 touchups are required. Glow tip: If it isn’t clear by now, use this if you’re using the J.One Jelly Pack or are intending to buy it. If not, I suggest you check out the Sulwhasoo or Etude House cushions instead! Overall: With the J.One Jelly Pack: 3.5/5. Without the J.One Jelly Pack: 3/5. Even with a nice overall finish and gorgeous smell of honey, I deducted points for the bad design of the product. It’s frustrating to be pressing down on that tension cushion for ages every morning! I hope you guys enjoyed this BB cushion Battle, and since you guys have been asking me for it, I’ll be back with more makeup reviews! Previous Post[GO4GLOW]: 5 plane essentials that will prevent you from shrivelling up in the air! Next Post[GO4GLOW]: July sheet mask shakedown: SKII, LuLuLun, JayJun, Leaders and L’Herboflore!